How would better audio on your PC improve your life ? I can’t hear anything right now so sound would be a great improvement !!!! I’m a subscriber. Better audio would help my husband who records his guitar playing on our laptop. thanks for the chance. I could watch dvd’s on my pc with 5.1 audio! Great audio can be a captivating sensory characteristic which enhances, encourages and compels more interaction with the component. For some reason the speakers/sound don’t work on my computer, so anything would be an improvement! I suscrbibed to the weekly email! also better audio would be soooo great! Sometimes I cant even listen 2 music on my PC because the speakers are horrible! This would be great to win! I am an email subscriber. 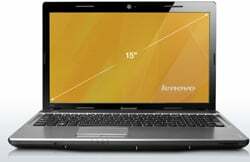 A laptop with better audio would help me because I watch a lot of movies and have to use ear buds to listen. My ears hurt after so long! Would make my music and movies sound better and make gaming more fun. Being a working artist that often is out writing or doing notes in the field, its lovely to be able to listen to music that fits the mood and the setting. MP3 players are alright, but to be able to work and listen would be a marvelous improvement in my experiences in the mountains. Currently its mainly pen to paper, then typing up notes when I get back. In any case, all the best of luck to everyone. Better sound would mean I would listen to music and watch movies on my computer. I do not do that now due to poor sound quality. This sounds great! It would enhance my viewing pleasure when I watch videos and movies online and just make the whole online experience much better. Especially when I make some book trailers. Better audio on my PC would make listening to music more enjoyable and good music improves one’s life, doesn’t it? Good speakers that would allow me to hear clearly and understand the audio from my computer would make a major improvement in my life. I do a lot of recording on my current laptop, but I don’t have enough money for quality headphones/monitors/etc. Having better audio quality right on my laptop would really help me hear my recordings with a more accurate ear, so I can mix accordingly. Better audio would make my soothing music actually soothing, rather than the horrible screeching I hear now. It would be great to have quality audio when I stream movies or listen to music! better audio? Why it would help me create much better sounding home DVDs… nothing like hearing infant screams in Dolby sound! it would improve my movie watching tremendously. Better audio on my PC would allow me to actually hear youtubes! After nearly 40 years as a professional musician, I would love to be able to get that ‘Live’ sound from my computer without resorting to patching through keyboards and amplifiers. After spending decades on a desktop, I want to make the conversion but in the past I was always leary b/c of the quality of audio and video…but now - look out…send it my way! I will go back to school for a new laptop….. I do a lot of audio and video editing on-the-go, and having high-quality speakers, instead of these cheap-o ones, would drastically improve my workflow and output. Well not only does my husband’s laptop cut off after five minutes but it has no sound! Laptops have sound? Huh, mine doesn’t. I pretty much do everything on the computer, watch movies, videos, listen to music, etc. having a better audio system on my PC would be awesome!! My wife watches a number of movies on her laptop so I’m sure a new laptop with much better sound would make her very happy. I use video editing software and better audio would help me make better movies and dvds. I volunteer with an Internet-based radio talk show, so having better audio on my PC would definitely help when I’m listening to our shows. It would also help when my wife misses a TV show and I bring it up for her on the PC. Be able to listen to music better. Better audio in a laptop would not only improve my life, but should be essential to any laptop. The point of having a mobile computer is being able to take all your “extras” wherever you go without having to pack bulky hardware. My ears are very sensitive to the harsh tinny sounds that cheap underpowered (aka standard laptop speakers) produce. I have a great respect for Dolby and the products they stand behind. A laptop with their audio system in it woulnt leave me with a throbbing headache at the end of the day. better audio on my pc would make it a whole lot better to talk and listen to conversations that I have on messenger. I would also like to be able to really hear my music with clarity. wishful thinking? I hope not! I’m really hard of hearing, at 43 .. it would be sooo nice to not have to blare the volume on my laptop when I watch videos and stuff..
My laptop speakers are so quiet even with no extraneous noise I can’t hear them. Just a little scritching sound. I already use a laptop to watch movies and listen to music so a better sound system would be awesome! I do not have a laptop at this time but if I did I would ensure that I had Dolby sound. I know that it makes my television experience great. I would certainly use it for movies, music and music videos. I could share with friends and family during backyard cookouts. My laptop is on it’s last legs, it’s going back for repairs but is just about out of warranty. Any new laptop would be great, but one with good audio would be especially helpful. My daughter just started medical school and if she comes home on weekends and doesn’t want to bring her own laptop back and forth, it would be helpful to have one with good audio, if she has to listen to videotaped lectures. Also my hearing isn’t as good as it used to be and the audio on laptops without external speakers can be hard to hear, I’d love one with good audio. I just started medical school, and my brand new laptop already has to be replaced. I’d love to have a 2nd one, if only as a backup, or one to leave at home and one I can take to school, so if anything happens, I have another computer. Audio is especially important as I’m in medical school and often listen to taped lectures, and it can be hard to hear well on a laptop. Winning this would make my day. Better audio on my PC would make audio/video conferencing better. My favorite music is stored on the computer. Better audio would be wonderful! Better audio on my PC would be very beneficial. I am a computer science major and an aspiring music producer. Sometimes I carry my laptop around and I don’t have space for the speakers that I use when I am home. I believe the Lenovo with Dolby Audio could not only help me show off my skills as a music producer but also help enhance the presentation of the programs I create.